Our last visit to Kuala Lumpur led us to new restaurant discoveries even if we only stayed for less than 48 hours. But it was fun nonetheless. We left the hotel early because we wanted to explore KLCC Park but didn't expect that will be hungry before reaching our destination. 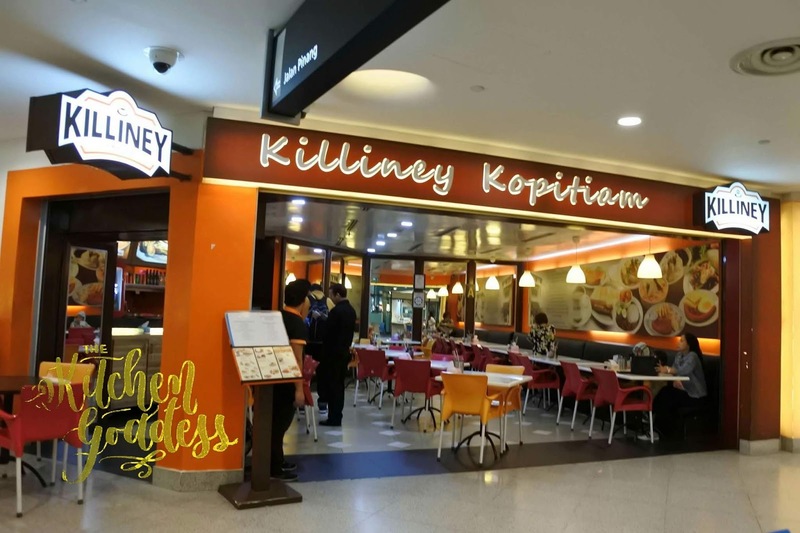 Luckily, the restaurants inside KLCC are already open so we got to eat breakfast at Killiney Kopitiam. I would have wanted us to try a more rustic kopitiam but we're really hungry and Killiney was the first thing we saw. 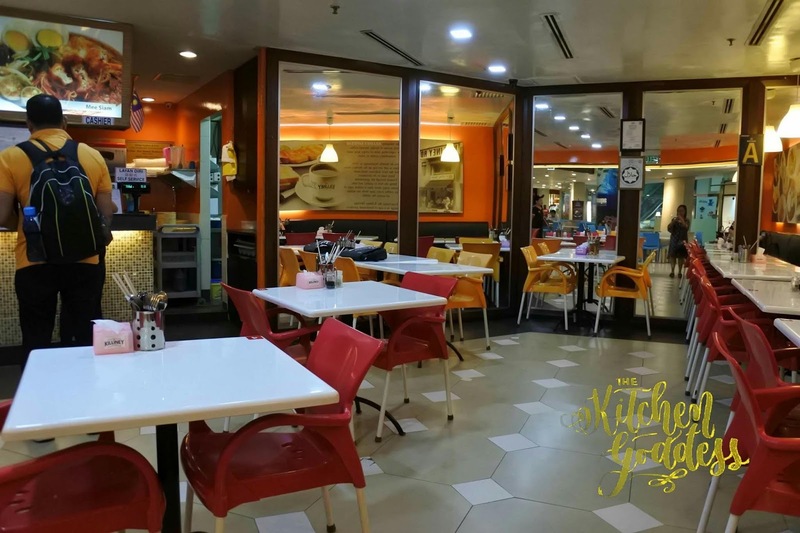 Killiney Kopitiam looks inviting and the interiors reminds me of the old 50's Diner in Baguio City. 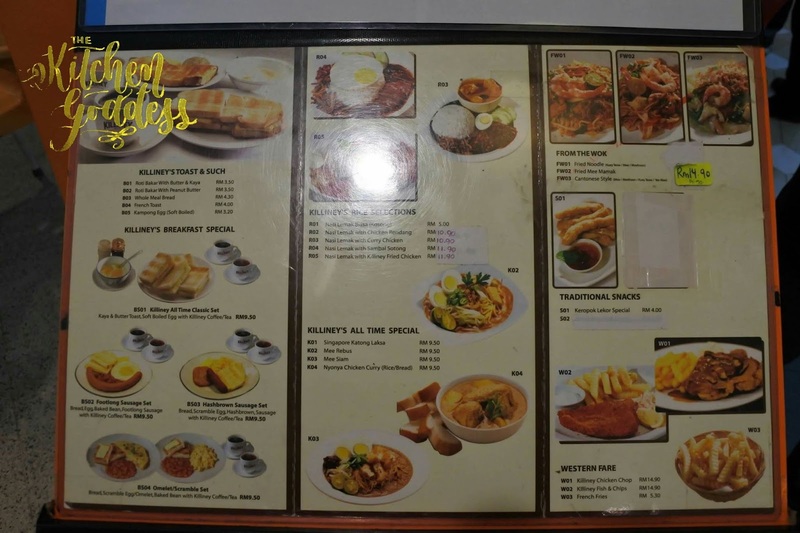 There were already a few diners inside so its really not that hard to choose this restaurant. This is a fastfood type so you need to order at the counter and pay for it also. 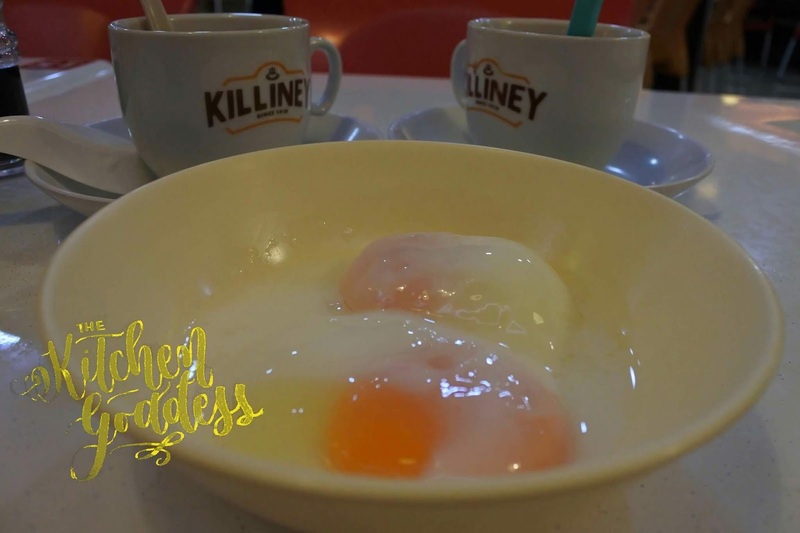 I ordered the soft-boiled eggs, Kaya toast (no photo), and Hainanese coffee and it was a good breakfast. I didn't really like adding soy sauce to my eggs like what the locals do. But I did enjoy dipping the toast in it. Yum! 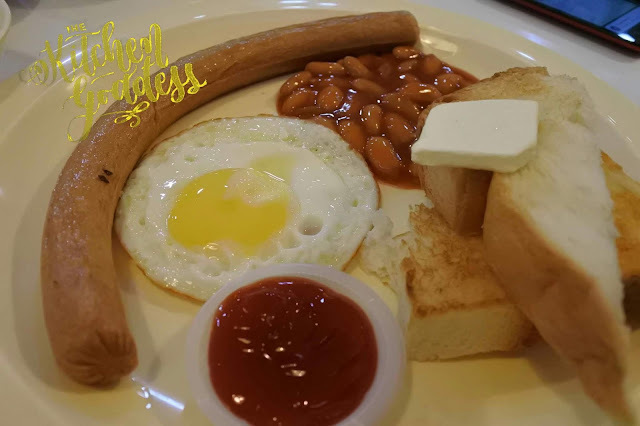 My friend had the breakfast set with sausage, beans, eggs, toast, and coffee. It was a very filling meal and costs RM10. 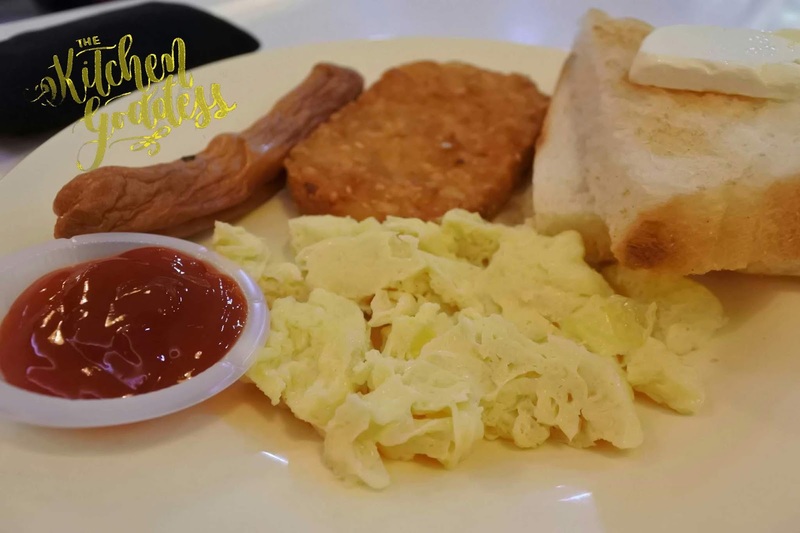 My daughter had the breakfast set with sausage, hash brown, scrambled eggs (you can request how you like your egg/s), toast and coffee. Overall, we all had a pleasant breakfast at Killiney Kopitiam. I'm curious about the laksa and hoping to taste it when we visit Kuala Lumpur again. 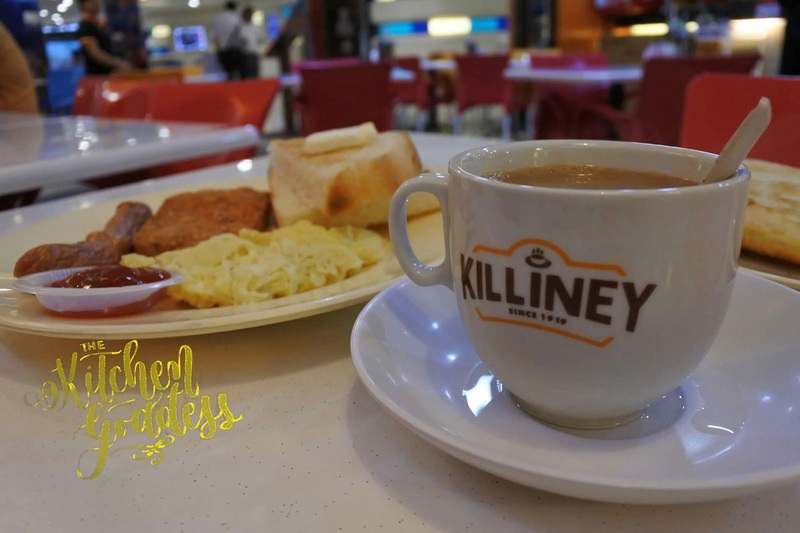 According to Google, Killiney hails from Singapore and is one of the oldest kopitiams there and has now more than several branches in Singapore and Malaysia. It is also one of the best kopitiam.